Exceptional Service is Our Top Priority! 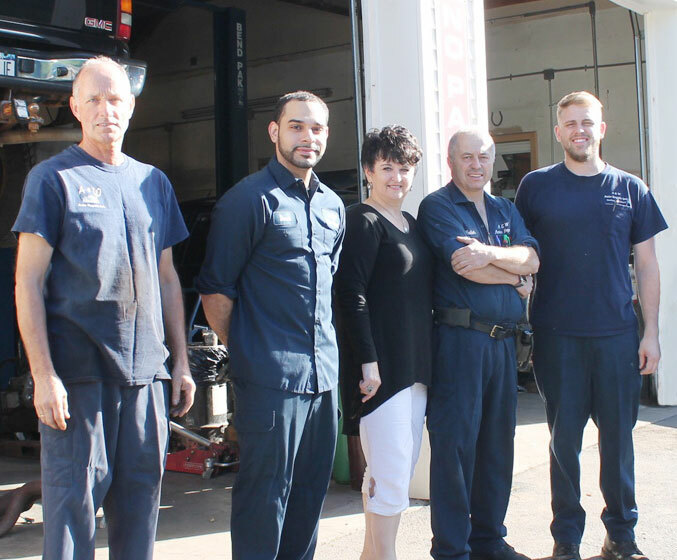 Our experienced staff is here to help you with your automotive needs. Whether it’s a repair of your vehicle, an oil change, inspection, or even if you are looking to purchase a used vehicle, our courteous A&W staff is committed to provide you with exceptional service with the utmost professionalism. Schedule your appointment with us today for all your automotive needs. Wonderful people, wonderful service. I have been here twice. The technicians were friendly and helpful, and quite quick. I highly recommend to anyone who is in the area and wants trustworthy service. Great local shop. They are highly competent and competitively priced, especially when compared to the dealer. While they specialize in Subaru, they are fully qualified in all makes, foreign and domestic. I have trusted them to successfully do everything from oil changes to engine and transmission swaps, and everything in between. Get 4 Oil Changes, Get 5th FREE! Check out all the services A&W provides. We are your one stop full-service auto repair shop. Schedule and appointment today so we can help you get on your way. Check out all the autos A&W provides through I&E Auto Sales. All the vehicles are inspected and repaired if necessary before selling to you.